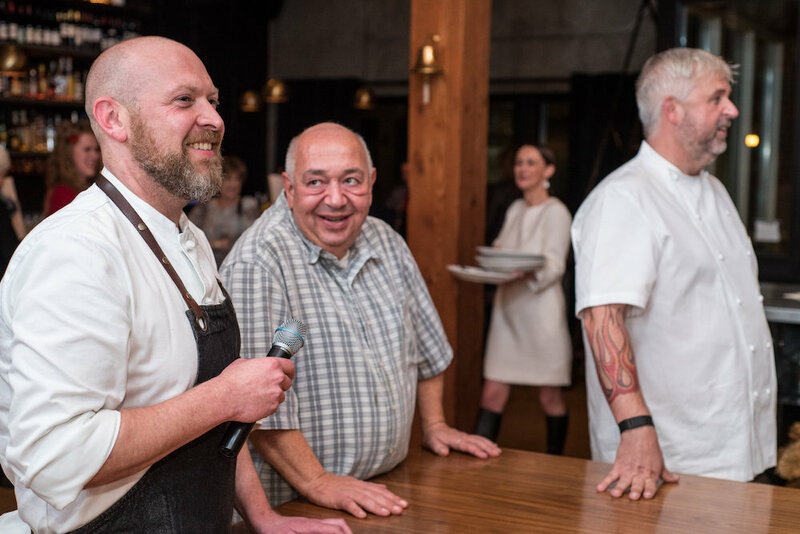 In the 19th edition of PLAZA DEL TORO's competitive dinner series VERSUS, Carafe Bistro's Pascal Sauton squared off against St. Jack / La Moule's Aaron Barnett using lobster, pineapple, and goose. In the closest guest vote to date, Pascal won by ONE vote and we donated $500 to his charity of choice Suzanne Bozarth's Go Fund Me for cancer treatment. Photos by Morrow Hammack Photography.